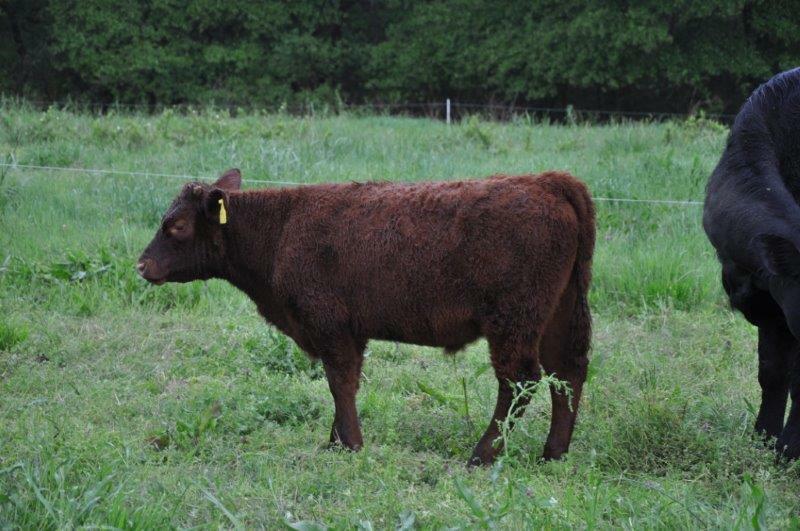 ….we spent several days recently inspecting our British calves at Doyle Unruh’s farm in Georgia…and our older heifers just across the state line at Bill and Nancy Walker’s farm in South Carolina. 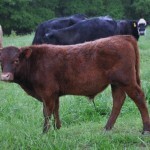 This is an Essington Buttercup son by Millennium Falcon, now almost six months old. Doyle will be holding him on his recipient mother for a few more months. His half-brother, a Goldings Norah son also by Falcon, has an interesting story. Recently our partner in Cornwall, England, Juliet Cleave, posted a picture on her Facebook page of an outstanding young bull . The picture was taken in 1963 and other than the name— Uggaton Highwayman 2nd—she was asking if someone had information about him. 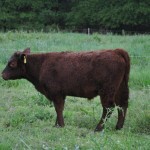 Wooz checked pedigrees and found that “our” Norah cow had the Uggaton herd in her background. So she went back still farther in the records and, sure enough, there was Highwayman! So this young bull in Georgia comes from even more distinguished ancestors. 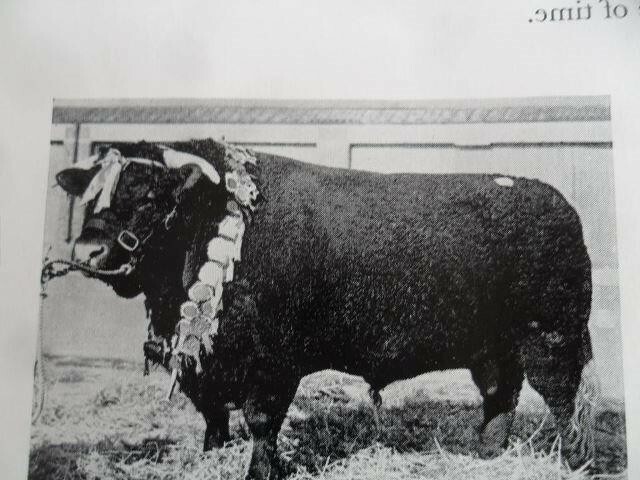 Ivan Rowe, Norah’s breeder, remembers the bull and is now searching to learn whatever became of the breeder and herd that developed this magnificent animal. 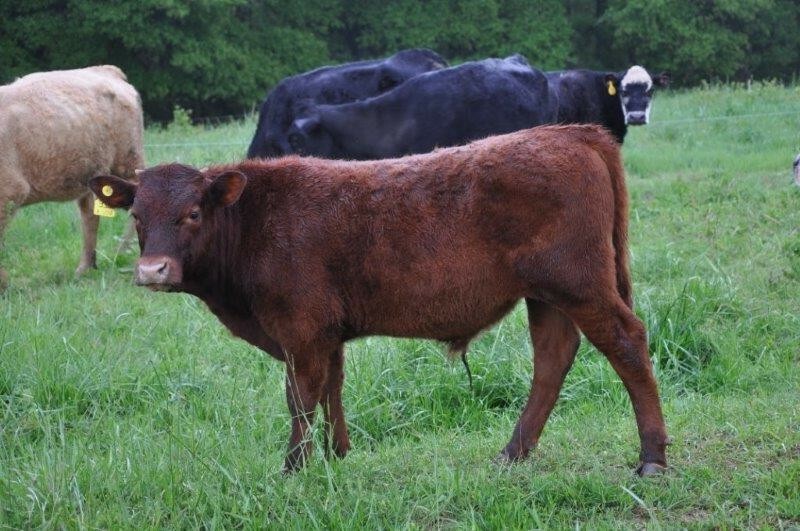 Incidentally, while we were in Georgia, embryologist Randall Hinshaw implanted 10 more embryos in Doyle’s recipient herd. So there’s more to come! 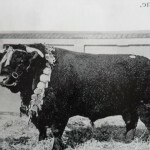 Have just spoken to William Brent (of the now dispersed Clampit Herd): his family bought Uggaton Highwayman 2nd as an 18 month bull at Devon Society annual sale & worked him “as much as we could” within the Clampit herd. The breeders were the Down family (James & brother Dudley) from the county of Devon. Mr Brent said Highwayman’s only fault was that he could have had marginaly straighter back legs; but this (I feel) may have been splitting hairs as the Brents showed Highwayman at county and national level throughout the bull’s prime – and was rarely not show champion.